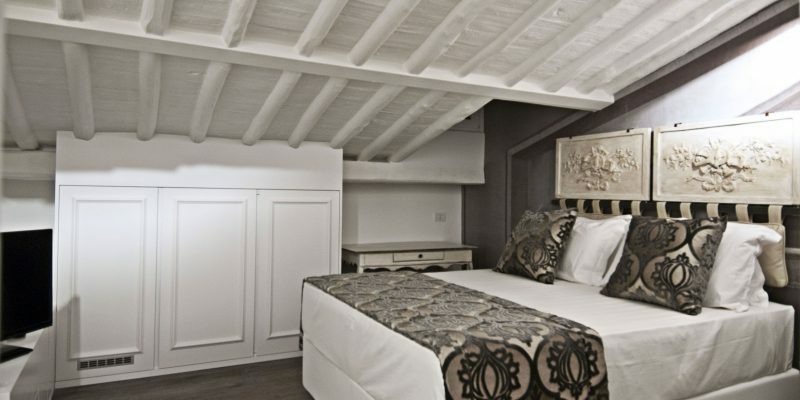 The BDB Luxury Rooms Trastevere Torre is a guesthouse built inside a nineteenth-century building located behind Piazza Trilussa, a place dedicated to the famous Roman poet "Trilussa". We are in the picturesque and lively Trastevere district. In this historic building there are six luxurious suites on four floors, served by a panoramic internal lift. Every little detail of the common areas and the rooms embody the elegance of the "shabby" style with the intrinsic charm of the historic building, with its wooden ceilings, the details in stone and the architectural solutions in sight. Complete the work the masterly touch of the images on the entire wall, offering glimpses "by surprise" of ancient Rome. It is a project of a collective of artists, who sign their work with the name "Sbagliato" (in English: "Wrong"). Their wall installations are sophisticated and highly relational works. Doors and windows appear on walls, bridges, rocks and other sites. 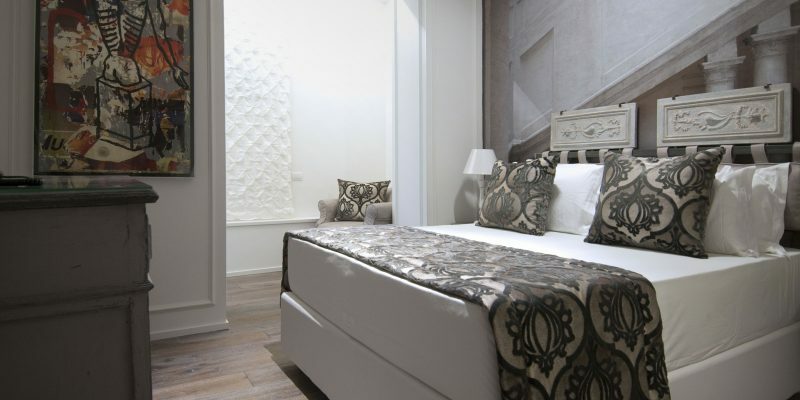 For the BDB Trastevere Torre, the collective "Sbagliato" has created a unique project in the hotel hospitality scene. 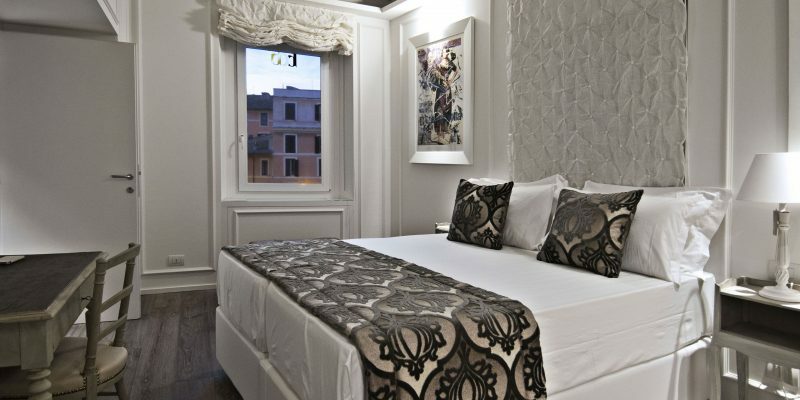 Here, immersed in the true traditional atmosphere of Rome, you will spend a unique and unforgettable stay. 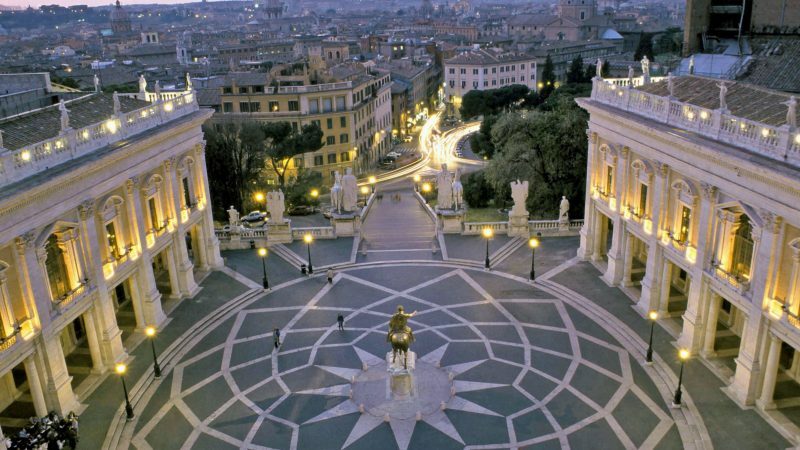 The best way to enjoy Rome is to stroll through its fabulous and picturesque streets of the center, so as to be carried away by the atmosphere of the Dolce Vita Capitolina. 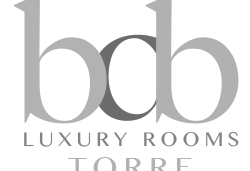 BDB Luxury Rooms Trastevere Torre is 4 minutes away from the Basilica of Santa Maria in Trastevere , from Villa Farnesina , from Palazzo Corsini, and from Santa Cecilia in Trastevere . In addition, a visit deserves the Museum of Rome in Trastevere, located in the former seventeenth-century Carmelite convent of Piazza S. Egidio. 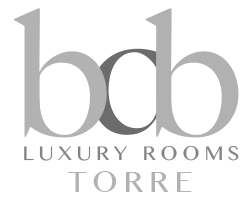 The meticulous care of design and furnishing that exalt a seductive mix of comfort and beauty also allow the most demanding guest of the standard double rooms to feel at ease.  Best price guaranteed: Price always lower than Booking.com, Expedia, and others.  Modification of reservation: Change/cancel up to 3 days prior to arrival. 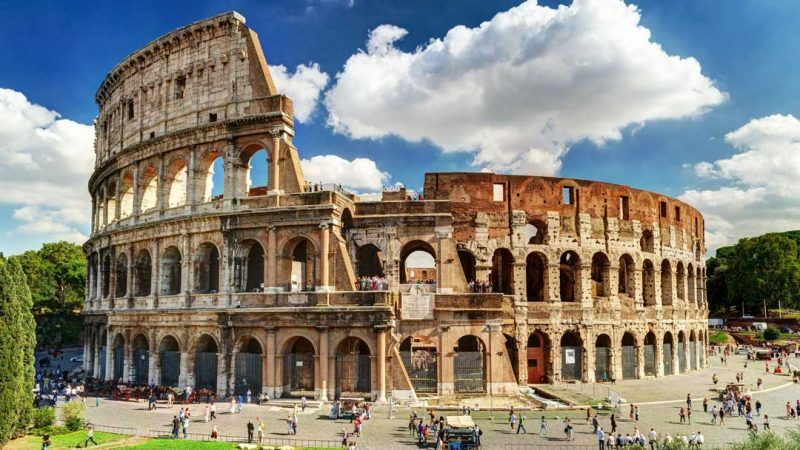 Take the Leonardo express to Roma Termini with departures every 15-30 minutes (depending on the day and / or time). Time: 32 minutes (2 stops). From Stazione Termini proceed head south-west on Piazza dei Cinquecento and take the bus H (Dei Capasso) towards Sonnino / s. Gallicano (H). Time: 13 minutes (6 stops). Get off at Sonnino / s. Gallicano (H) (stop Foro Olitorio) and proceed on foot towards Via Benedetta, 16. Time: 6 minutes (500 meters). From Tiburtina Station take the Metro B Laurentina towards Termini. Time: 6 minutes (4 stops).